An easy-going and often spaced-out boy who does not do much of anything, even when he is in the club room. He seems like a prince who would be good at studies, but in fact, he is lacking in sense. However, he treasures his friends even more than himself. His favorite kind of glasses is Wellington cel frames, and his vision is 0.2 in his left eye and 0.4 in his right. 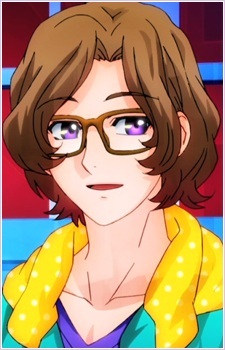 His favorite catchphrase: 'No Megane, No life."